Weile Waila Sheet Music Notes And Tab. An Irish traditional tune brought to life by The Dubliners. The music is in the key of D Major and was transcribed by Danial. The first version is for learners who don't yet read music. The photo is of Ronnie Drew and is from a short film about The Dubliners which was made many years ago and shows Ronnie in prison. The youtube video will show what notes to use. This song is over 100 years old and used to be sang as a ''Skipping Rhyme'' in many parts of Ireland. It was also very popular in many parts of Britain. It's origins are unknown. 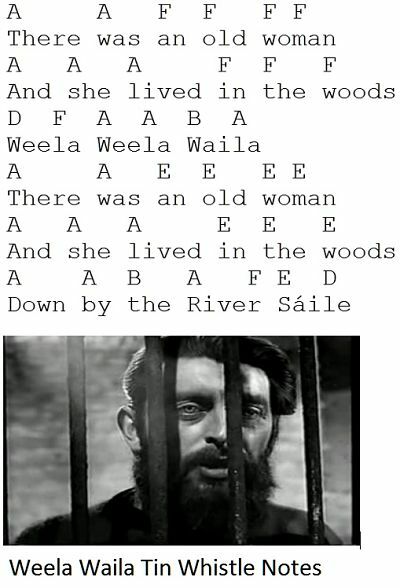 Ronnie Drew had been singing this song since the 1960's. It's very easy to play.